Runner’s knee might be something you’ve heard of before. 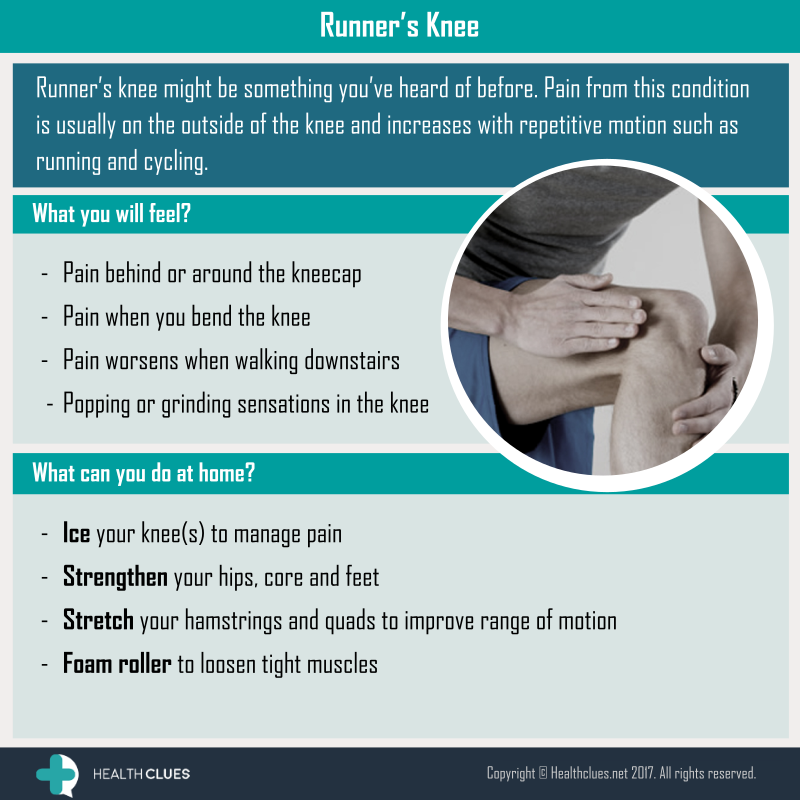 Pain from this condition is usually on the outside of the knee and increases with repetitive motion such as running and cycling. Infographics, Sprains and Strains health, Iliotibial band syndrome, Injury, ITBS, knee, knee pain, Runner’s knee, sports injury. permalink.